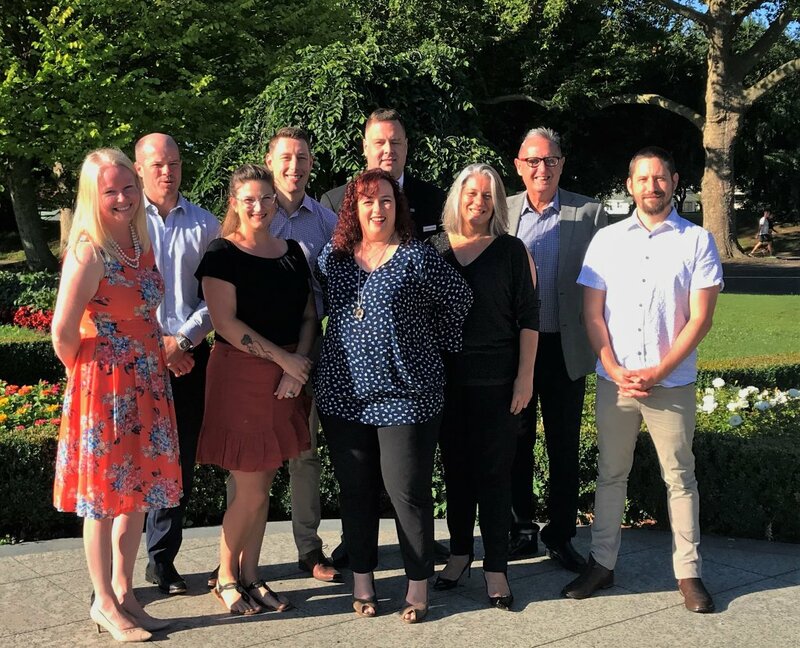 The recently-elected Cambridge Chamber of Commerce Board, from left, Rebecca Jenkins, Andrew Flexman, Susanne Lorenz, Phil Mackay (president), Tracey Oliver, Jim Goddin, Janine Peters, David Natzke and Joel Boyte. Absent from the photograph were Sue Duignan and Lesley Nielson. Newly returned to his role as president of the Cambridge Chamber of Commerce, Phil Mackay remains as focused as ever on steering the town’s growth in such a way that not a skerrick of charm is lost. It’s not an easy challenge, but the key to success, he says, is capitalising on links with other strategic players in the region and growing networks that will bolster existing springboards to development. Phil was first elected to lead the Chamber in late 2016; he was confirmed for another term at last month’s AGM. Three new board members signed on at the same time – Andrew Flexman, Tracey Oliver and David Natzke. Earlier this month Phil said much of the strategic planning needed for Cambridge must take into account growth not only in the numbers coming to Cambridge, but also in the numbers of people living on the periphery and supported by local businesses. “That growth will change our focus,” he said. “As a Chamber we will have to look at the bigger picture if we are to contribute to a vibrant Cambridge. I’ve identified a couple of key issues likely to impact our success. One is our access to skilled staff for local businesses – something we are hearing is a problem – and another is infrastructure. We’re sitting at the apex of the ‘golden triangle’ incorporating Auckland and Tauranga. We need to get those issues right before we can look at how we continue to use our position to our advantage. Phil said the Chamber typically worked in the small business space, but it was important to bring bigger businesses on board as well as they tended to think more about big picture issues. “Our role is to connect our members, to make sure they have access to opportunities that will enable them to do business better. What can we as a Chamber do to advance our overall vision of keeping Cambridge vibrant without stumbling over pitfalls and losing its character? We need to focus on the lifestyle which attracts people here and keep that front and centre of our planning.